Hey Canadian film fans! Love mystery-dramas? Live for action and thriller movies? We have good news for you: now is your chance to catch the gripping and emotionally charged tow truck drama 22 CHASER on the silver screen. Opening this Friday, July 6, 2018 at Carlton Cinema in Toronto and running until July 19, you can purchase your tickets through the cinema’s website HERE. What’s more, director Rafal Sokolowski and writer Jeremy Boxen will be in attendance to participate in a Q&A on opening night (July 6) at the 6:55 p.m. screening. 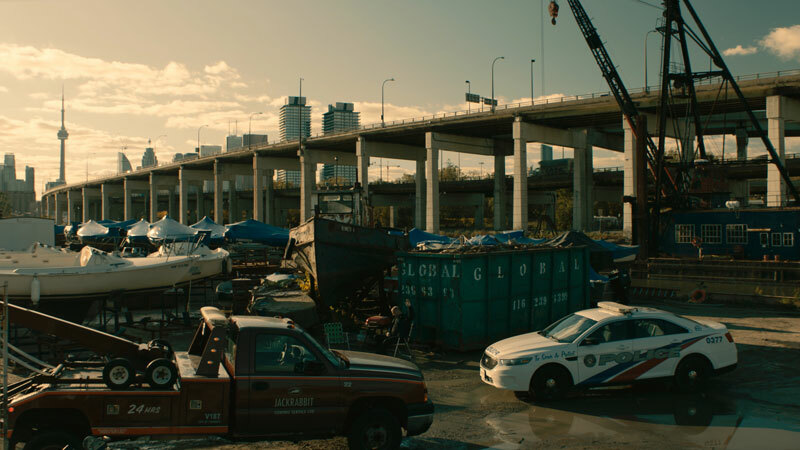 22 CHASER is the 22 nd feature film to be developed and financed for production through CFC Features, a program that invests in and collaborates with filmmakers from across Canada who have engaging feature-length stories for the screen. The theatrical release follows the sold out Special Presentation of 22 CHASER that we were pleased to present back in April in celebration of National Canadian Film Day. 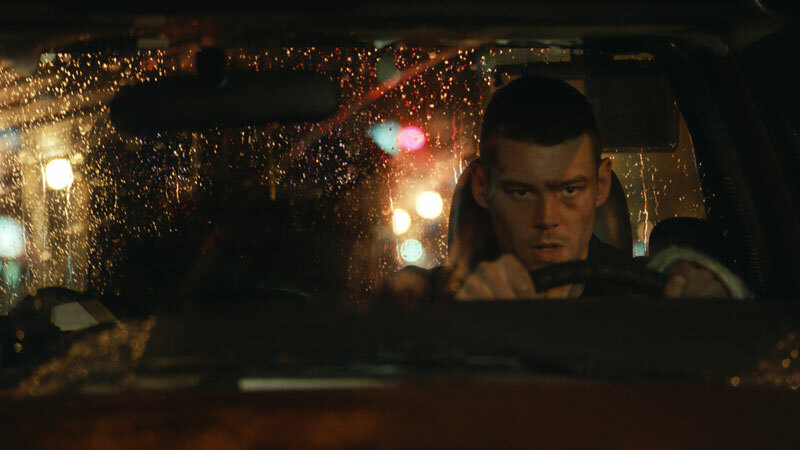 22 CHASER follows a struggling tow truck driver, Ben (Brian J. Smith), who risks everything in order to become king of the road and piece together his broken family. It provides a look into the often mysterious and gritty underbelly of tow truck culture, and shows the extent to which some drivers are willing to go to make it in this cutthroat world. "Wherever you go in the city, there are always tow truck drivers perched somewhere, as if hiding in plain sight. They cut a bit of a romantic figure if you know nothing about them." "I was quickly sucked into the salty world of tow trucks and drivers. It’s a modern-day Western with principled guys in trucks, instead of on horses." "Rafal [director] was the ideal choice for this story. We needed someone who could bring raw, naturalistic, grounded performances out of the actors." The CFC championed this project from the very beginning and remained unwavering in its commitment to the filmmakers and to the project and worked hard to see it go from script to screen. Now, 14 years later, we are so proud that 22 CHASER is ready for public audiences. The film stars Brian J. Smith (Sense8, SGU Stargate Universe), Tiio Horn (What Would Sal Do?, Hemlock Grove), Raoul Trujillo (Sicario, Cowboys and Aliens), Aaron Ashmore (Killjoys, Regression), John Kapelos (The Breakfast Club), Aidan Devine (October Gale, Suicide Squad) and Shaun Benson (The Girlfriend Experience, Saving Hope). It is produced by CFC board member Don Carmody (Shadowhunters, Resident Evil franchise) and CFC alumni Daniel Bekerman (The Witch, Bang Bang Baby) and Aeschylus Poulos (Mary Goes Round, Sleeping Giant); is co-produced by Brendan Carmody (13 Eerie, Home Again); and is executive produced by Justine Whyte (Rhymes for Young Ghouls, Adventures in Public School). The film was edited by CFC alumni Kye Meechan and Jane McRae (who earned a CCE Awards nomination for their work on the film), and also features appearances by CFC alumnae Lisa Codrington, Camille Stopps and Emily Piggford. Daily screenings at 1:40 p.m., 3:55 p.m., 6:55 p.m., and 9:30 p.m. Check the cinema’s website HERE to confirm showtimes and to purchase tickets. 22 CHASER was produced through the Canadian Film Centre’s CFC Features program. Development at CFC Features is supported by the Government of Ontario, and production support and financing are supported by the CFC and The Movie Network, a division of Bell Media. The producers secured additional production financing from Telefilm Canada and Ontario Media Development Corporation. Canadian distribution for 22 CHASER is handled by levelFILM and the film is represented by XYZ in the U.S. and Red Sea Media in the international market. Learn more about CFC Features HERE.